Today I took a nice ride to an old historic park with Jim and Mary. After hunting for about 35 minutes, the signals were few and far between. Besides the usual trash, I only dug a clad quarter and a memorial penny. 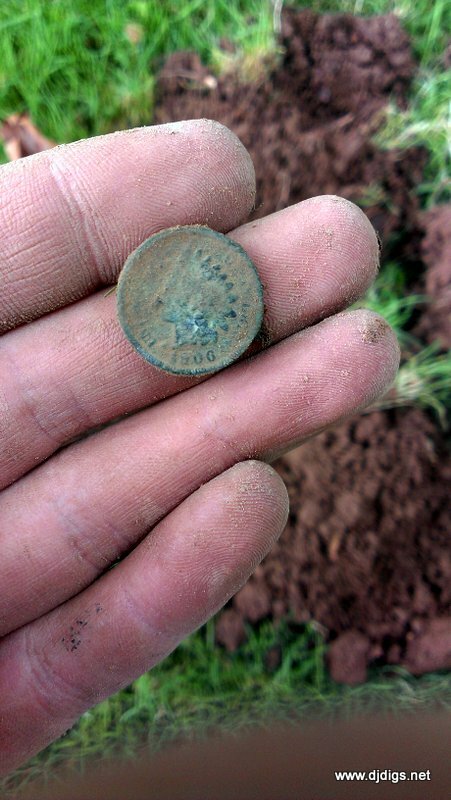 Finally, I managed a decent deep signal and turned up a 1906 Indian head penny about 6 inches deep. 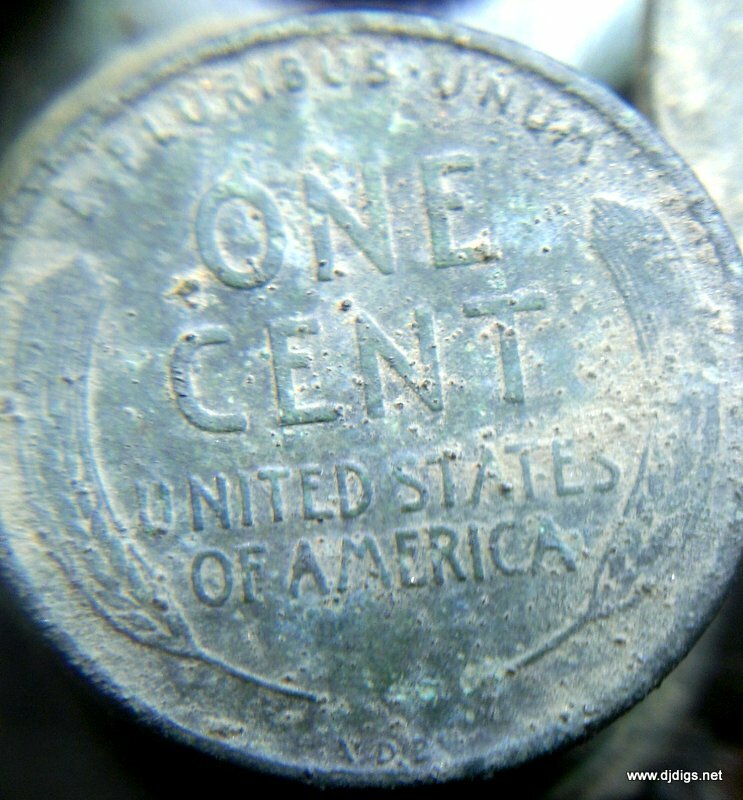 Jim scored a store token from the civil war period. 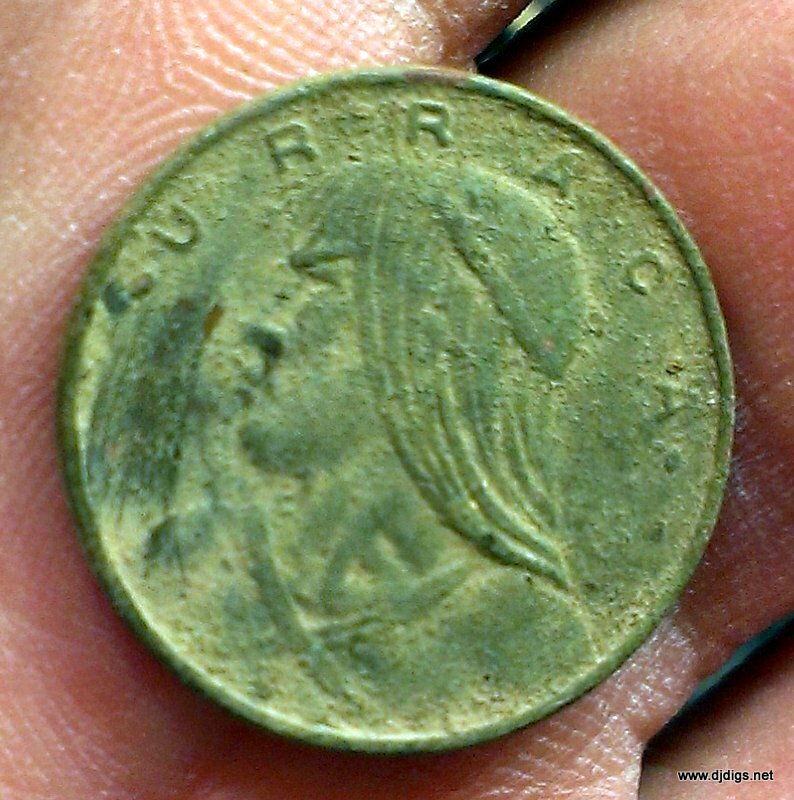 A Robinson Ballou Grocers token, dated 1863. There weren't too many signals at the park, just those two keepers; so we reluctantly called it a day. Well, after being questioned by a "concerned" neighbor: Who are you? What are you doing? Do you have permission to be here? (Of course I had permission. He found that out when he called 'to verify that I wasn't lying'.) I finally got started. A few signals later, I got a 1940 silver Washington quarter. 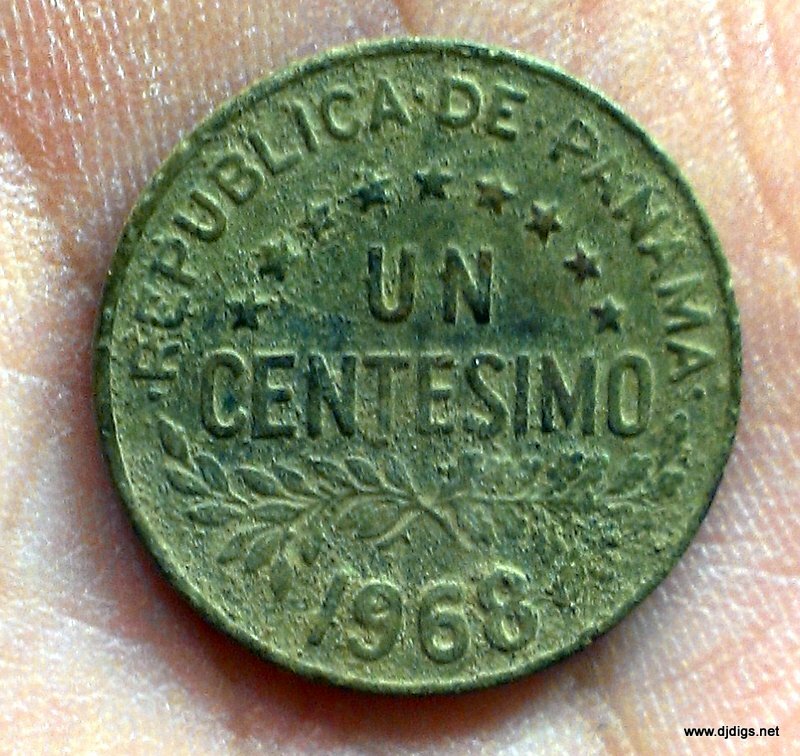 I also found a 1968 coin (Un Centesimo) from Panama, which I mistook for a wheatie at first; an old costume ring missing the stone; and a Chucky Cheese token. It felt great to get out digging today - I hadn't been out in a few days and I needed it for my soul. But the best part of the day was when I got home and cleaned up my finds. 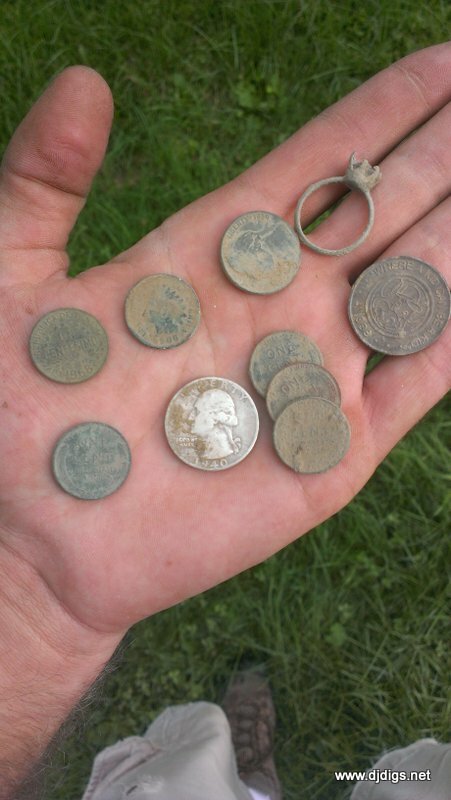 I realized that one of the wheats I dug was a key date - a 1909 VDB! Unfortunately it's not an 'S', but I was still pretty thrilled. SWEET save on that 1909 VDB!!! Wow, that's great! I think it's so cool how we all find the same stuff - up & down the east coast. Thanks. I was thrilled when I saw those 3 little letters. I immediately checked for the S. Multiple times - hahaha. No luck!